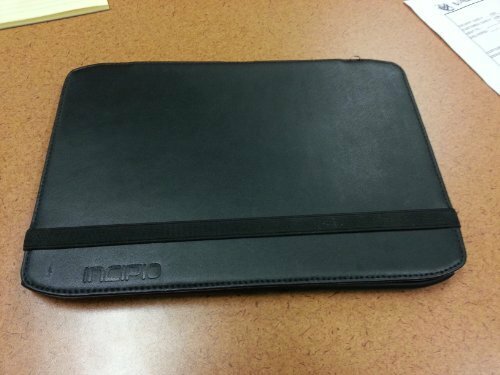 Motorola Droid XYBoard 10.1 is a mid-end tablet released back in 2011, counting with a fast Dual-Core processor speeding at 1200 MHz, a 10.1" display, a 5 mega-pixels back side camera and a 1.3 megapixels front-facing camera. The Motorola Droid XYBoard 10.1 has a wonderful design, with a thickness of just 0.35 inches. 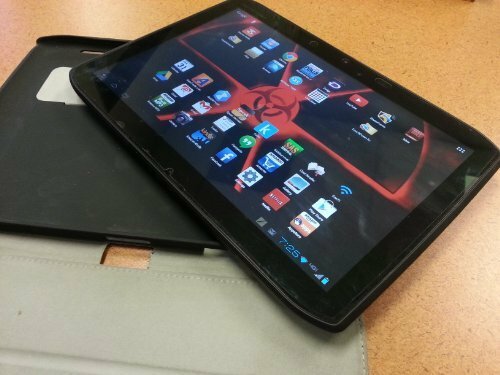 The Motorola Droid XYBoard 10.1 only has 10 inches long and 6.83" wide, but it still manages to hold a 10.1 inches display. This device isn't very light for a tablet this size, with a weight of 21.13 oz. Motorola decided to build the Motorola Droid XYBoard 10.1 using a TI OMAP4430 chip, holding a great performance Dual-Core processor clocking at 1200 MHz with 1 GB of RAM. To help with graphic intensive applications, the Motorola Droid XYBoard 10.1 also uses a 304 MHz PowerVR SGX540 graphic processing unit. This tablet counts with a 64 GB amazing internal storage and even though it doesn't include a slot for SD memory cards, it is still enough to store tons of apps, games, songs, photos and videos without thinking about how much storage is left. Motorola packed the Motorola Droid XYBoard 10.1 with a good 10.1" screen, and a resolution of 800 x 1280 , giving this tablet a decent graphical experience. Its screen uses IPS LCD capacitive technology, and can detect multi touch gestures. The Motorola Droid XYBoard 10.1 has two cameras, a 5 mega-pixels back facing camera and a 1.3 MP front facing camera. this device's back facing camera lens has a maximum 2.8 aperture so it's serious problems taking good photos in low light environments. It is also able to film HD 1280x720 videos at 30 frames per second. This camera also includes flash and auto-focus. This tablet uses a 7000 mAh amazing Li-Ion non-removable battery that provides this tablet an impressive battery duration. An issue to take into account is that the Motorola Droid XYBoard 10.1's battery is not replaceable	so you can't change it when it begins losing capacity, even though with so much capacity you will probably buy a new tablet before it happens. The Motorola Droid XYBoard 10.1 provides wi-fi capability (which it can share with other devices as a mobile hotspot), LTE (4G) fast connectivity or 3G connectivity, using EV-DO A technologies. The Motorola Droid XYBoard 10.1 doesn't use a sim card, because it doesn't support GSM networks and it works with CDMA carriers. The Motorola Droid XYBoard 10.1 also features some interesting features like Bluetooth, GPS (Global Positioning System) and Near Field Communication (NFC), and multiple sensors like Light Sensor, Accelerometer, Gyroscope, Barometer and Compass. 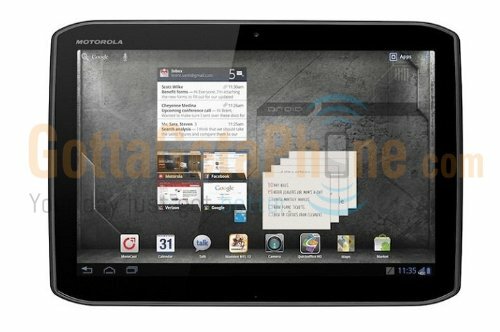 The Motorola Droid XYBoard 10.1 is a really good offer considering it's an incredible tablet and it costs just $ 175. This tablet is probably a good choice for you it doesn't matter whether you need a tablet for work, will use it as a social tablet or want this tablet for playing games.